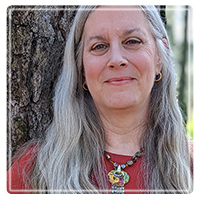 Durham Therapist: Charisse Coleman - Therapist 27705. Send A Message To Charisse. My office is in Durham, NC on Broad Street at the corner of Club Blvd., across the street from the NC School of Science and Math. Other nearby landmarks: the Ninth Street area, Duke Hospital and Medical Center, I-85/ Northgate Mall. We're about a mile from Duke's East Campus, and about three miles from West Campus. I work with adults 18 and older, including elders. I am an LGBTQ-affirmative counselor, and have worked with clients who are clarifying issues of sexual identity. Mostly, I see individuals, but will sometimes form personal growth groups, especially for increasing creativity and developing mindfulness practices. I work especially well with men and women in mid-life who are seeking, undergoing, confronting, or contemplating changes in vocation, role, relationship, and life direction. I enjoy counseling college students as they navigate the social, academic, and identity issues that being in a new environment and community can bring up, helping them make this transition a time of positive growth. I also work with graduate students as they cope with the seemingly endless demands and conflicting pressures that graduate study places on them. Having spent over 15 years as a professional actor, another 15 as a writer and writing teacher, and recently working in mixed media visual arts, I have a passion for supporting artists in all media to find and develop their voice and vision, increase their creative capacities and productivity, and resolve creative blocks and impasses. My practice includes a diverse population from a variety of cultural, racial, ethnic, spiritual, and religious backgrounds, sexual orientations, genders, and professions. Clients have ranged in age from their late teens to early 70s, been full-time students, mid-life career changers --- anyone seeking change and a greater sense of meaning in their lives. They have been single, married, divorced, and partnered, with and without children. This diversity is one of the things I love about Durham, and about my work as a counselor. Whoever you are, whatever issues you bring into counseling, our work together will be collaborative. We will follow your agenda, values, and priorities. Together, we can clarify what you want for yourself, identify strengths you already possess and can use in new ways, and work through the issues that keep you from being as happy, functional, and fulfilled as you can be. It's important to know that my idea of "a successful life" is one which is lived as fully as possible right until the moment it ends. Vitality, expressiveness, a wholesome relationship to one's past, a good relationship with yourself and loving connection with others, meaningful work or a sense of your life's purpose are goals I am strongly committed to supporting you to reach. I will listen to you deeply and without judgment. Quite often, this alone can bring some relief if you are in distress. Then, by heightening our awareness of "what is so" in your life, we can begin to shape the changes you seek. Changes in behavior and patterns of thought can improve mood and improve a client's ability to function. Also, I am by nature, temperament, and experience a coach and teacher. I am happy to bring that into our process together, whenever you find you might like to learn some specific skills -- in communication, stress relief, mindfulness, physical relaxation, and setting boundaries, for example. I can share resources with you for complementary practices such as reasonably-priced massage therapists, to classes in different styles of meditation, yoga, and tai chi, as well as websites, podcasts, readings on a wide variety of related topics. As a former actor, I have over 35 years' experience and training in relaxation techniques, body process, and developing creativity. I am also a writer, maker of botanical monoprints, mixed media collage and assemblages. This background enables me to use expressive arts interventions, and to work directly with body-emotion-mind-spirit interconnections in our counseling. If you are interested, we can develop a variety of simple ways to incorporate mindfulness practices into your daily life – without adding a lot of extra time to your already busy schedule. Clients beginning to practice mindfulness have enjoyed stress reduction, reduced anxiety and panic, increased ability to focus, as well as feeling more centered, more connected to themselves and others, and more purposeful. When you are unhappy with how your life is going, or with how you feel about yourself and the world, it's easy to develop ideas that "not being like I am," "getting rid of these parts of me," or "changing into a different sort of person" is "what I have to do" -- to be happy/get unstuck/come out of depression/calm my anxiety/fall in love/feel secure/get a great job... almost any important life goal you can think of. So let me say this: we won’t be working together to "turn you into" something or somebody else. My belief is that health, healing, and happiness come from becoming ever MORE yourself, not less! But we are rarely taught to attune to our own core selves, how to listen inwardly and deeply. We may even have learned to mistrust the quiet voice within, to reject the very wisdom that could guide our growth and transformation. However concrete and pragmatic your goal, part of our process will always be to strengthen your connection with what you might call your heart-mind, your center, your creative consciousness, your true voice, or truest self. Any level of real change requires courage and candor -- from both of us -- and a willingness to stay connected to the process even when it may be uncomfortable. Whatever levels we find ourselves working on, I will honor your priorities, stay with you at your pace, respect your integrity, while also challenging and inviting you -- in ways serious and playful -- to grow. Many people find that gaining relief from emotional pain, learning skills to manage moods and reduce stress or to communicate more effectively, or changing troubling behaviors and unhelpful perspectives "does the job" for them. They feel more empowered and enjoy great satisfaction in a sort of "ripple effect" as the changes they have made flow into all areas of their lives. People also sometimes discover that to live the life, and to be the self, they most want to be requires transformation at a deeper level. Healing old wounds, transforming your relationship to your past, diving deep into the well of your creative powers and discovering what you most want in this life -- what some people may think of as fulfilling their true purpose or greatest potential -- these are some of the directions and explorations that comprise deeper level change. I am a Licensed Professional Counselor, a National Certified Counselor, and took my MS in Clinical Mental Health Counseling from UNC Greensboro. Post-graduate work includes completing a certificate program of 250 hours training in Gestalt at the Gestalt Institute of Cleveland, and over 200 hours' training in self-hypnosis and generative trance with Dr. Stephen Gilligan. I hold a BFA in Acting from New York University, and an MFA in Creative Writing and Literature from Bennington College. Born in Little Rock, Arkansas, raised in Ohio and Louisiana, I have lived in Durham since 1999, after having lived in Seattle, Berkeley, Boston, Stockbridge, Cleveland, and New York City (twice!). My husband and I love the High Country of NC, almost any kind of movie, music concerts at the Carolina Theater and DPAC, shows at PlayMakers Rep, and all the fabulous food -- from trucks to bistros to diners to fancy restaurants to farmer's markets -- that grace the town of Durham. We share a bad habit of staying up too late reading, much to the delight of our rat terrier rescue, Lucy, and two adopted shelter cats.